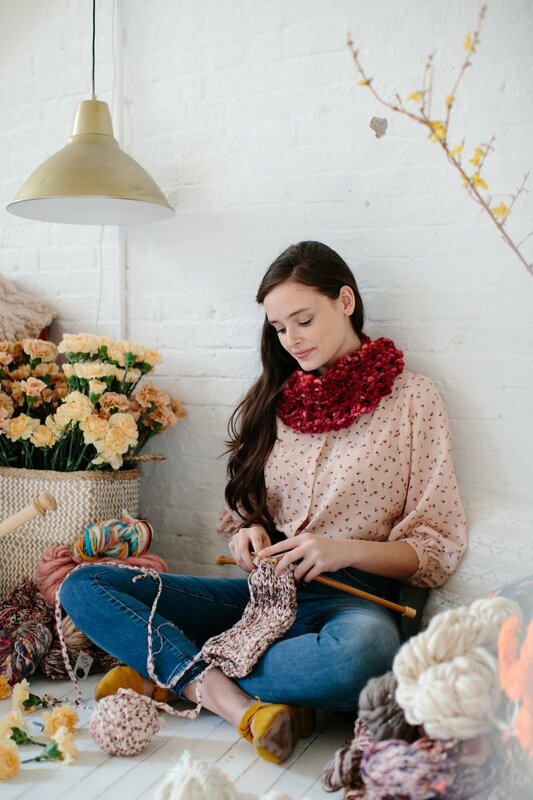 Specially curated, these kits contain all the necessary ingredients to knit a scarf and then some. 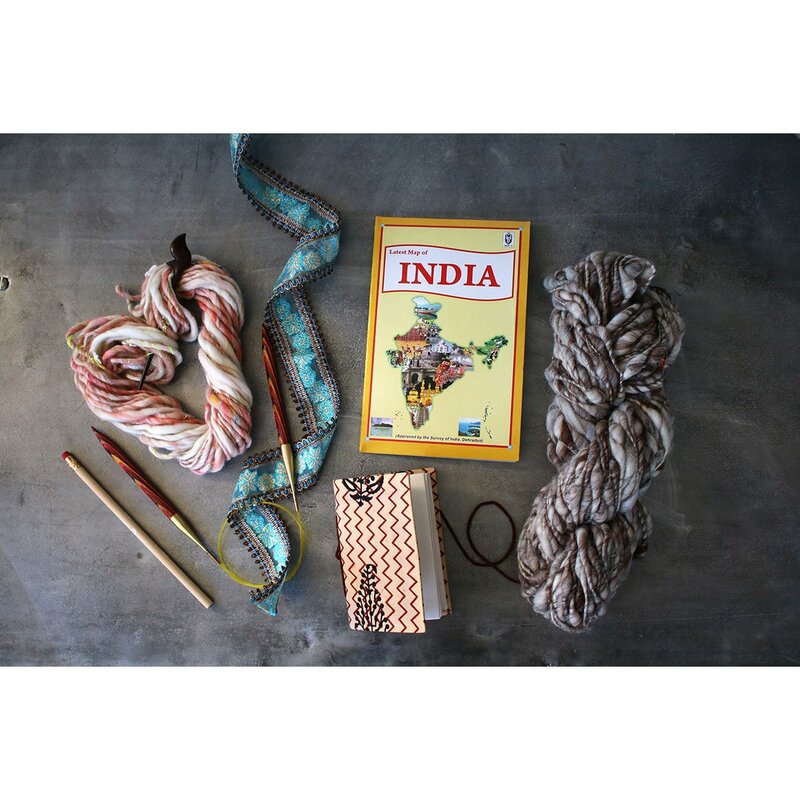 Each block-printed project bag contains one hank of Knit Collage Cast Away, one surprise Knit Collage mini skein (yarn and colors vary), three free patterns (2 scarves and a cowl! 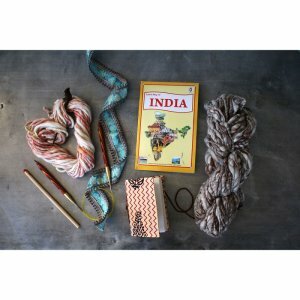 ), limited edition US 15 knitting needles (6 long) and a custom interchangeable cord from Knitter's Pride (to make 28), a hand crafted shawl pin, ribbon, a block-printed journal & pencil, and a map of India. 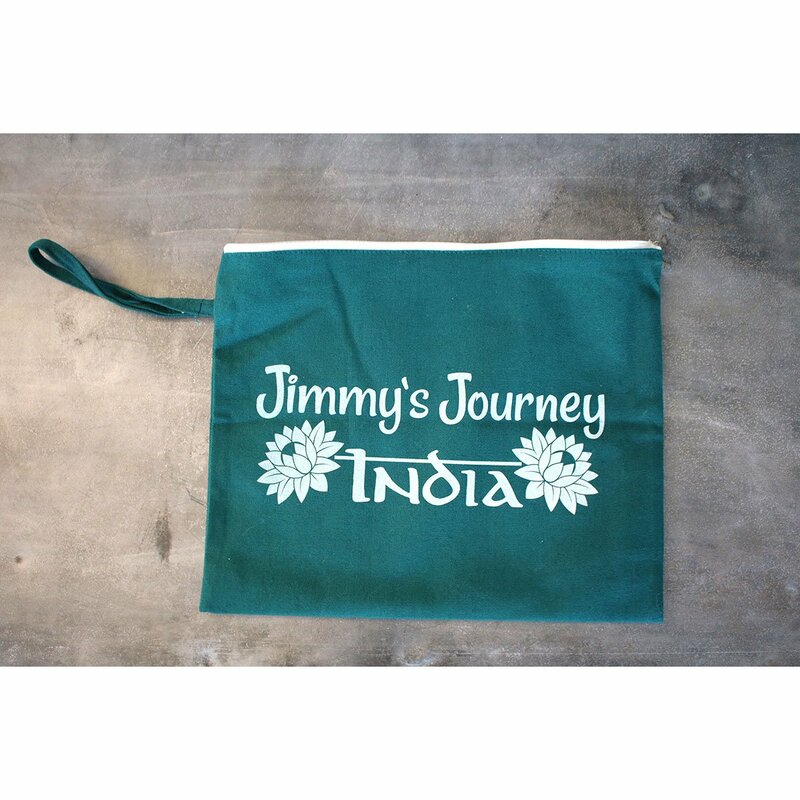 And so you can follow along, a map of India! 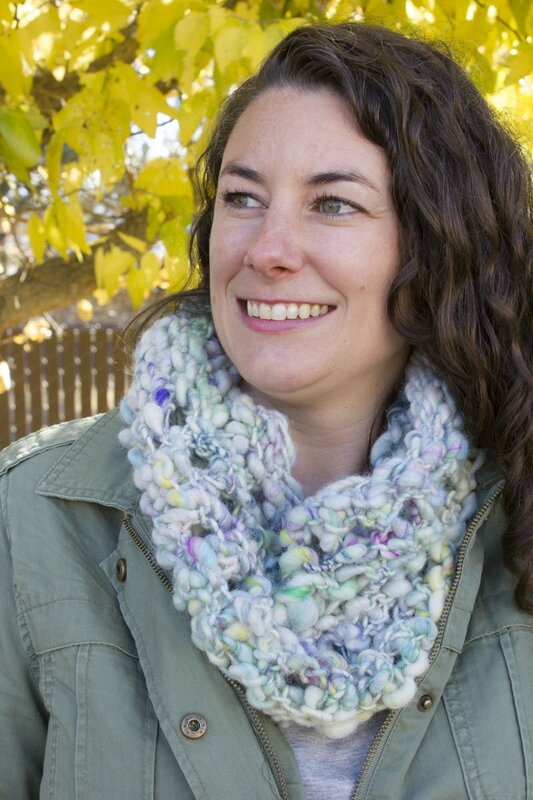 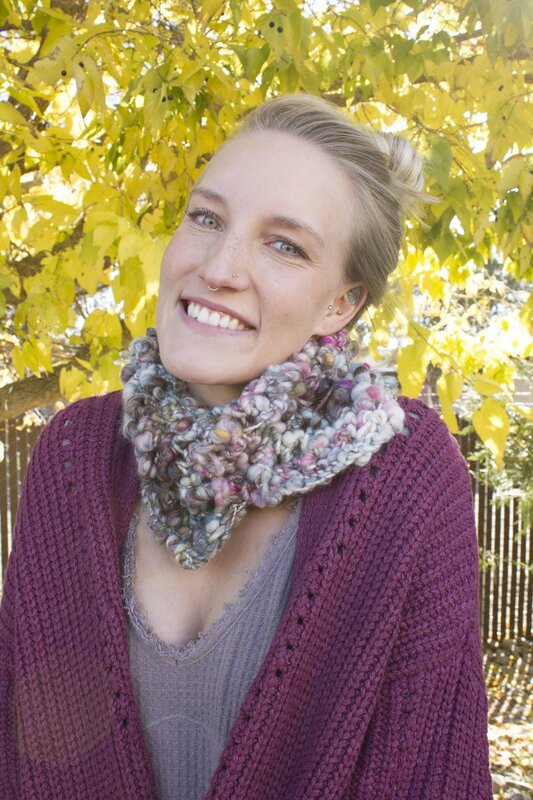 Jimmy Beans Wool Learn to Knit Kits is a similar kit: beginner difficulty and kits. 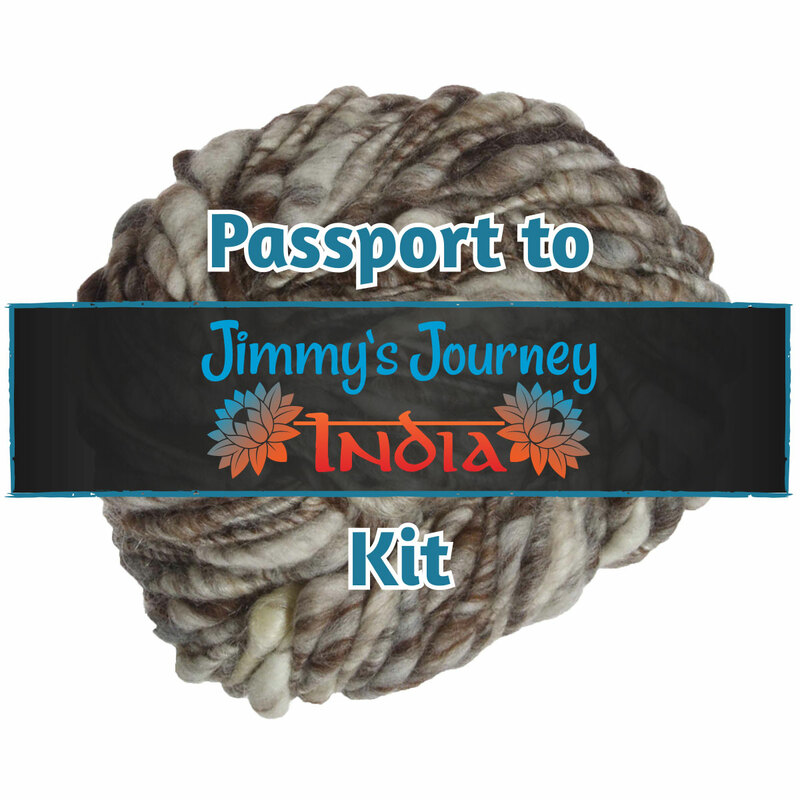 You may also like Jimmy Beans Wool A La Carte Micro-Brewed Kits, which is another similar kit: beginner difficulty.